CN Times Books Inc., 9781627740883, 184pp. Point of View New York City is a photographic exploration of the world’s most exciting city. 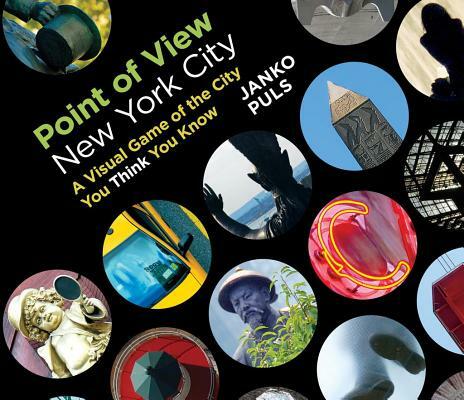 With Janko Puls’s unique perspectives, Point of View New York City seeks to awaken readers’ curiosity, challenging them to figure out where and what the photographs depict. Point of View New York Cityexplores the many layers of the vast and always-evolving city of New York?playground, home, workplace, urban landscape. Made for both locals and tourists alike, this interactive photography book will provide a unique experience for anyone who is interested in the sights of New York City. From the most recognizable landmarks to more obscure locations, the photographs collected here transcend the image of New York City that most are familiar with, diving into little known alleys and more intimate urban locations. Janko Puls, born in 1967 in Aachen, Germany, is a photographer and journalist. Since 2006, he has lived with his wife, Kate, in New York City. Janko took degrees in Journalism, Art History, and History of the Middle Ages at Freie Universität Berlin, and studied Italian in Perugia, Italy. In 2000, he was invited to Frankfurt to develop the online edition of the national daily newspaper Frankfurter Rundschau as managing editor. Besides the development of content, layout, and functionality of the website, he introduced the broader online use of photography in different formats. Upon moving to the United States, he decided to make his lifelong love for photography his profession.